Her father Billy Graham called her the best preacher in the family, and the New York Times labeled her as one of the five most influential evangelists of her generation. 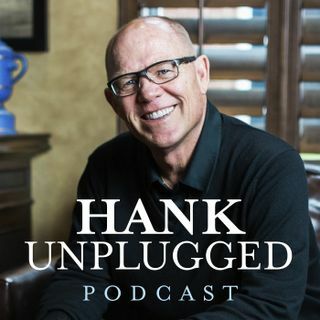 Hank is joined by Anne Graham Lotz, author of The Daniel Key: 20 Choices That Make All the Difference, to discuss what we can learn from Daniel, and an exploration of the timeless biblical truths that we can learn from the living Word of God. Topics discussed include: the Charles Blondin story as an illustration for faith ... See More in God (3:30); the late years of Billy Graham’s life and his love of prayer (6:05); the difficulty of growing up with her father away from the home preaching on the road and the influence of Anne’s mother as a woman of prayer (7:45); experiences that Graham Lotz had during her youth that inspired a love of God and lifetime of service to Him (11:00); the power of transparent vulnerability and the importance of living our lives for an audience of one (14:00); centering our lives around the Lord rather than our problems (17:40); the need for Christians to transform the way we live our lives to have a greater cultural impact (20:25); the purpose of prayer as communion with God (23:10); why morning prayer is so important to Graham Lotz (26:25); discipline is required to become a disciple (29:45); allowing time in the wilderness to prepare us (31:50); understanding that the Bible is living and active (35:00); Daniel’s habit of praying three times a day to give thanks and the importance of having an attitude of gratitude (37:55); the reality of spiritual warfare and the power of putting on the full armor of God (43:50); falling in love with the Lord and understanding that love isn’t a feeling but a commitment (49:00); the importance of Christians being people of truth in a post-truth world (50:20); experiencing the fullness of life in Christ here on Earth as a glimpse of what’s to come in heaven (53:25); Graham Lotz recalls finding her husband unresponsive in the swimming pool, and the need for all of us to live life with death in mind (55:35); the story of Dori, a woman caught up in the turmoil of the Syrian civil war (1:01:30); putting God first and the significance of an earnest examination of our priorities in life (1:04:25); the rise and fall of empires as a reminder of the temporary nature of our lives (1:08:40); the criticality of confessing our sins as a daily practice (1:11:00); the power of prayer and fasting (1:14:45); the power of forgiveness (1:07:05).